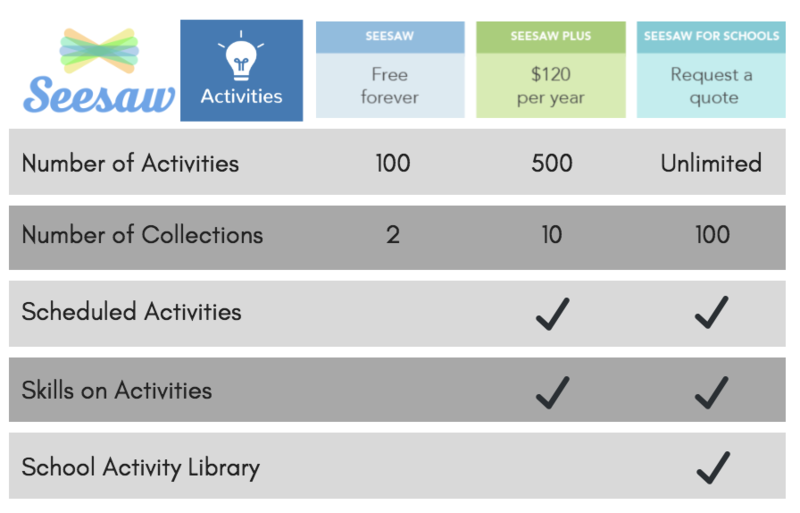 The Seesaw Activity Library is a growing resource of grade-level and subject specific activities, created by teachers like you! Find ideas that inspire your students to reflect on and share their learning in creative ways. You can also share activities you like with other teachers by following the instructions here! Tap the activities tab or the green add button. You can browse the Activity Library by grade and/or subject area. Tap on a collection or activity to view the student instructions and teacher notes. Then, tap the heart icon to save the activity to your personal library. 4. 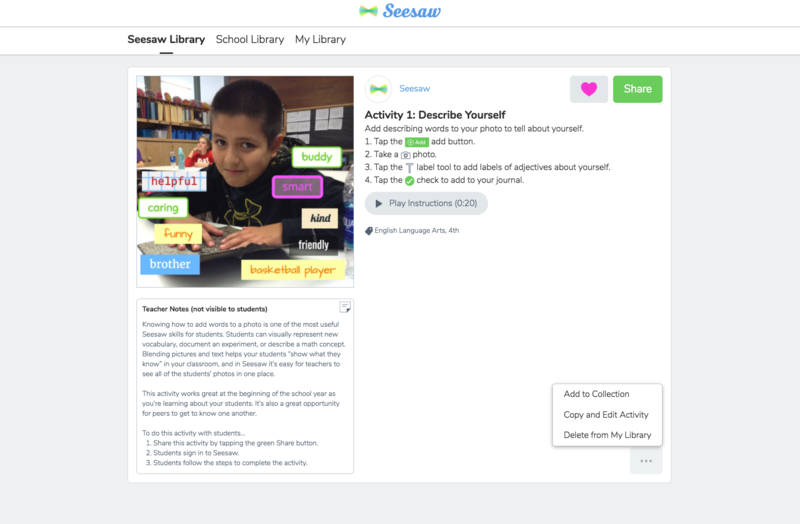 Once you've checked out the Seesaw Library, you can tap the 'My Library' tab to view all activities you have created or saved from the Seesaw library! Collections are a great way to organize activities in the 'My Library' tab. You can add your activities to a collection by tapping [...] below a saved activity and then tapping 'add to collection'. 5. Tap any activity, then tap 'Share' to publish to your class(es) as is, or tap [...] below the post, then tap ‘copy and edit activity’ to customize the activity. How do I create an Activity Collection?